THE Federal Ministry of Justice has charged public institutions to comply with Freedom of Information Act and to proactively disclose public information in their custody if they must avoid being shamed in the public. The charge was made at a one-day roundtable for FOI desk officers in public institutions organised by the federal ministry of justice in collaboration with Right to Know (R2k), a non-governmental organisation that seeks to promote citizens right to access public information at all levels of government public institutions. The one-day forum is a response to a publication by the ICIR on how public institutions ignore FOI requests, despite budgetary provisions for the implementation of the act since it became a law in 2011. The report triggered the interest of the office of the Attorney General of the Federation which oversees the implementation of FOIA. In his welcome address, Mr. Benjamin Okolo, head of FOI unit, federal ministry of justice, who also doubles as the coordinator of FOI in Nigeria, said the FOI act does not only stand for responding to FOI requests but also promote accountability, transparency and promote probity in governance. “As we all know, the freedom of information act stands solely on two legs, one of which is, responding to requests by public institutions and also, the FOI act ensures accountability, transparency and promote probity in governance,” Okolo said. He said the act requires all public institutions to organise, maintain and make information in their custody readily and easily accessible to the public. 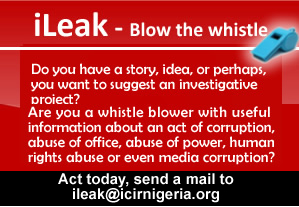 Okolo added that any public institution that fails to comply with the implementation of FOIA will be shamed publicly. “Media Rights Agenda, an NGO, has instituted hall of fame for public institutions that fail to publish public information, pls desk officer do not allow your agency to be shamed,” he said. While giving his opening remarks, the Permanent Secretary and the Solicitor-General, who was represented by Alhaji Aminu Tahir Hamza said section 29 of the act establishes in the office of the attorney general of the federation to act as an oversight to monitor, inspect and protect the right to access to records of information. He also revealed that the act requires all public institutions to submit their FOI compliance report to the office of the attorney general by February, every year. “The FOI act mandates all public institutions to submit to the attorney general of the federation, on or before first of February each year, the annual report of public institutions compliance status. “However, by section 29 (4) of the act, it requires attorney general of the federation to forward the report from all public institutions to the relevant committees of the Senate on or before the first day of April, each year,” Hamza said. Also in her goodwill message, Etim Nwankpa, National Coordinator, Right to Know (R2K) stressed the need while the implementation of the FOI act is of utmost importance in the fight against corruption of the present administration. “The proper implementation of the freedom of information act helps to promote accountability and transparency in governance, which is the main point of the present administration,” Etim said. Observation from participants at the event, who are mostly FOI desk officers in their respective institutions shows that many are unaware of any budgetary allocation for the implementation of FOI act in their institution while majority declared of not having an FOI portal on their websites.